Whether it’s bringing a large trailer cross-country, or hauling stone from the quarry to the jobsite, even excellent pickup trucks have their limitations. Sometimes, duty just demands more than the robust, 13,000 lbs. of towing at which the light to medium-duty pickup truck class maxes out. In these instances, the heavy-duty pickup truck shines. Heavy-duty pickup trucks provide incredible torque and performance, allowing you to work harder and smarter than ever before with a comfortable and convenient ride to match. 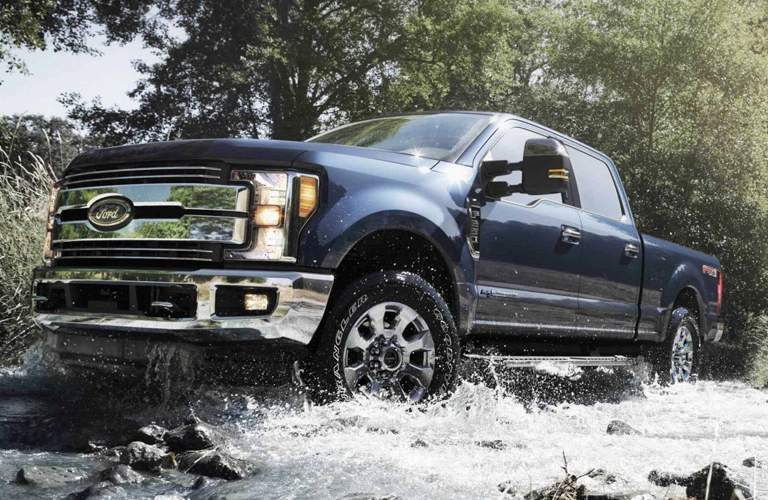 Within the segment of heavy-duty pickup trucks, only the Ford Super Duty has sold as many models. From the 2018 Ford Super Duty F-250’s 18,500 lb. max towing, to the unbelieve 2018 Ford Super Duty F-450’s 34,000 lbs. max towing, the Ford Super Duty lineup gives drivers a range of capabilities. 6 trim levels, including the all-new and fully-stacked Limited, allow drivers to pick the perfect level of flourish and performance that matches their unique needs. 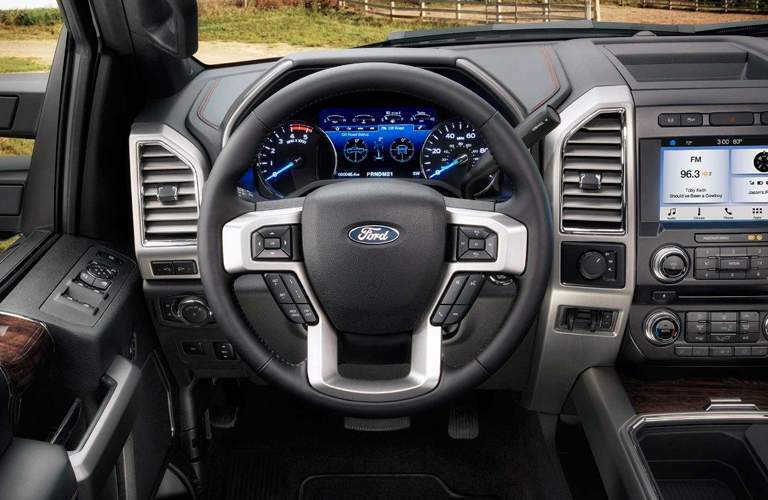 Test-Drive a 2018 Ford Super Duty Truck in Scottsboro, AL today! When it comes to needing power, torque and a frame that can support towing up to 33,500 lbs. of business or fun, only the 2018 Ford Super Duty has your back. Standard on most models, the 6.2L Ford V8 engine puts out 385-horsepower and 430 lb-ft. of torque. Drivers looking for even more can choose the 6.7L Power Stroke® Turbo Diesel engine which puts out 450-horsepower and an incredible 935 lb-ft. of torque. Available 48-gallon gasoline fuel tank means you’ll stop less than ever before, letting your work day continue until the work is done. You’ll have your choice between a Transmission - TorqShift® Heavy-Duty 6-speed SelectShift-G™ Automatic or TorqShift® Heavy-Duty 6-speed SelectShift™ Automatic transmission to smoothly and confidently shift the titanic engine power into motion. 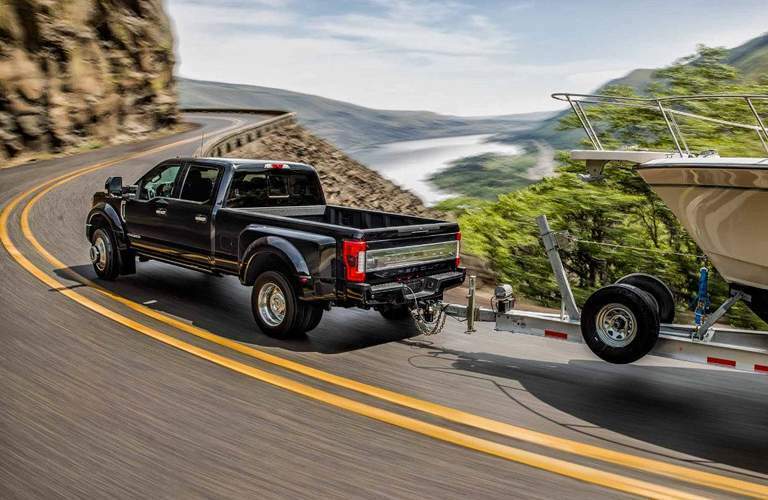 Available on most and standard on upper trim levels, the Ford Super Duty includes plenty of comfort and convenience technology like the Ultimate Trailer Tow Camera System. This feature allows you to see your hitch and get a full 360 view of your surroundings while driving, ensuring backing up and forward motion are safe and smooth. 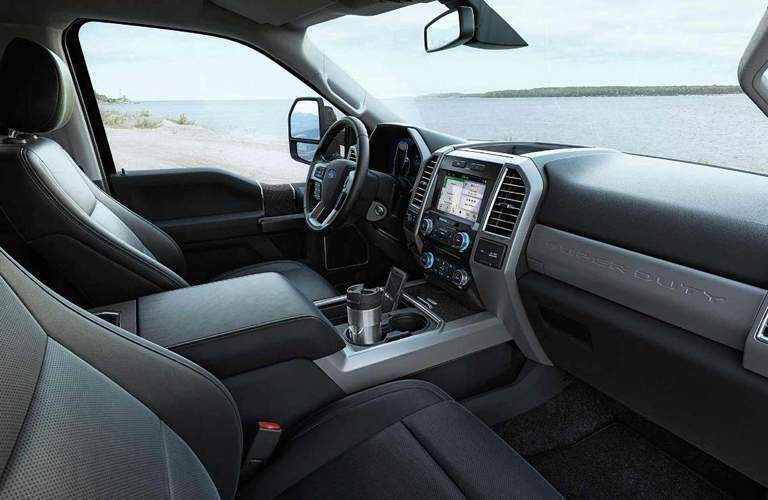 The 2018 Ford Super Duty is loaded with technology and performance mechanics to help you get more work done faster. For more information, or to schedule a test drive, contact us today!